According to home insurers Home Protect, fewer Britons now own gnomes than ever before, with many blaming theft as the cause of the declining population of the twee garden ornament. 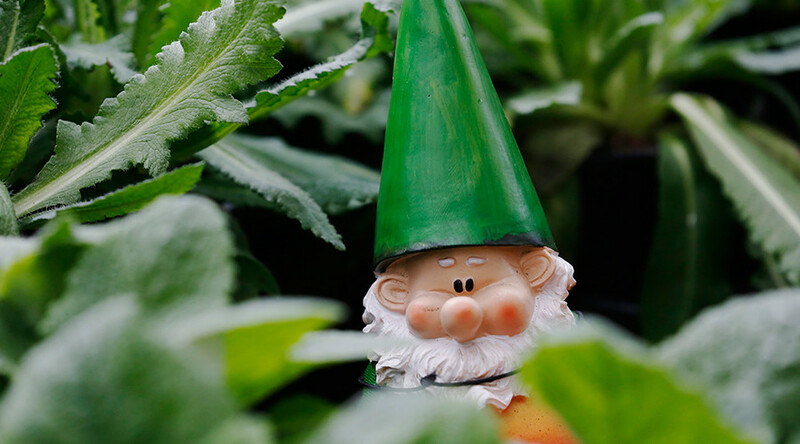 Four in five gnome owners said they have lost at least one gnome in the last five years, with the north of England being the most affected. Households in the north said they had lost up to 3.8 gnomes and over a third of gnome owners in the north east said they had lost more than five of their backyard adornments. The UK’s gnome population is now concentrated in Scotland and the south east. The one-of-a-kind survey also found that gnome owners are most likely to read the Sun or Daily Mail, with just 13 percent identifying themselves as readers of the Guardian. Most will be Tesco or Asda shoppers (18.5 percent and 12 percent respectively) and only 9 percent pop into Waitrose. Politically, gnomes tend to stick to gardens of staunch Labour voters, with over 18 percent of gnome owners supporting Jeremy Corbyn’s party. But it was conservative homes that had most of their gnomes stolen, with UK Independence Party (UKIP) voters having the worst luck. Supporters of the Euroskeptic party had the most gnomes stolen over the past five years compared to voters from almost any other party.